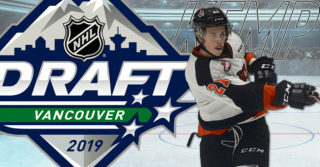 Medicine Hat, AB — The Western Hockey League released the schedule for the 2017-18 season Tuesday afternoon, including all 72 games for the Medicine Hat Tigers. The Tigers open their 48th campaign and third season in the Canalta Center. The season will kick off with the annual home-and-home series against their Highway 3 rivals the Lethbridge Hurricanes, beginning Friday, September 22nd in the ‘Bridge City before returning to the Gas City the following night. The regular season will conclude with yet another home-and-home vs the Hurricanes, a tradition between the two clubs for years. 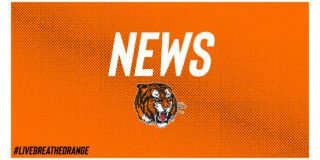 The Tigers will head to British Columbia twice this season, playing a double in Prince George November 21st and 22nd. 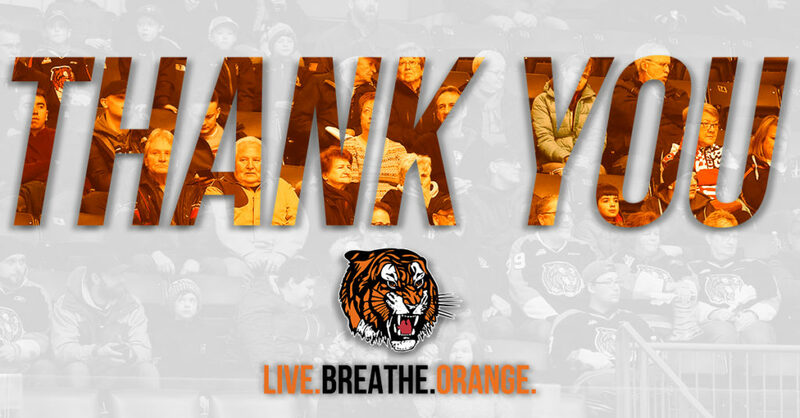 Tiger fans will not get the chance to see the Cougars or the Kamloops Blazers this season as the Tigers will travel only to the two clubs. 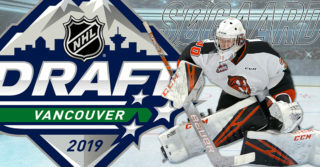 The 5 US Division clubs will make their second ever appearances at the Canalta with the Everett Silvertips making the first visit on October 11th. Overall, the schedule is very balanced, showcasing a minimum of 4 home games per month, allowing for ample rest and practice time for the Tabbies this season. Compared to last season when Tiger fans had to wait in November and January due to long road trips away from the Hat. The Tigers are set to raise their Central Division pennant banner at the annual home opener. Tiger fans get to see the re-branded Kootenay Ice and their new uniforms for the first time this season. The first and only visit from the 2016 WHL Champions and they try to defend their crown. 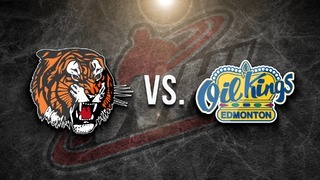 Notice the time on this game as it is an 11:30am puck drop at Rogers Place as the Tigers participate in the Oil Kings Hockey Hooky promotion for elementary students.